You’re playing the sit and go tournament in the late stages. 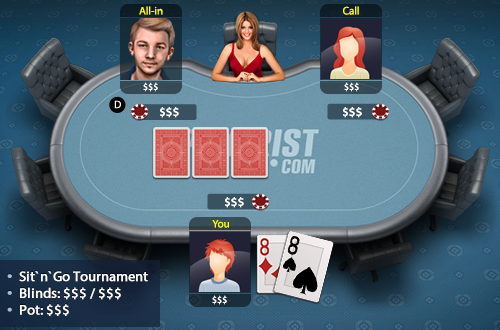 The short stack raises all in and another player calls. You are holding 88 in the big blind.